When buying a home, the first thing potential buyers generally look for are emotional triggers. You know, the things like, lighting, flooring, windows and all of the feel good features that we look for in a home. Unfortunately, it is easy to pass off a house with a ton of issues just by doing some simple upgrades. At Winding River Inspection Services, we urge you, whenever you are buying or selling a home, it is critical to have an inspection completed. Many simply gloss over what is important in a home inspection and focus on the aesthetics; of course there is nothing wrong with that, but many times it is advisable to look deeper. Issues like old plumbing, deteriorating electrical wiring, and inadequate insulation are all things to look for. While upgrades are nice, they are great at diverting attention away from potential or existing issues. If you are confident that your home is structurally sound, there is no reason why you shouldn’t upgrade your home but, beware, not all upgrades are created equal. Does this Upgrade Increase My Equity? More and more, when selling a home, to get top dollar, the house needs to be current and technologically advanced. Many homeowners will replace the flooring, slap on some paint and jack up the price by ten thousand dollars. Currently in the Fort Collins real estate market, it is completely reasonable to get even more than asking price when selling your home. This high demand was not always the rule as it is today, but like it or not, our market is red hot. Some sellers even see upgrades as necessary and there are homes sold every day that still have wallpaper visible under the paint. They are getting the prices they need for doing very little work upfront. Times, like they always do, will eventually change and we will have a buyers market again. With this in mind it is critical to carefully consider what sort of upgrades you install in your home. In this series we will be looking at the best and the worst home upgrades, which reflect the best on resale value and happiness. When you sell your home, a good realtor will work extra hard to close the deal. But a realtor can only do so much and your home must be able to sell itself. 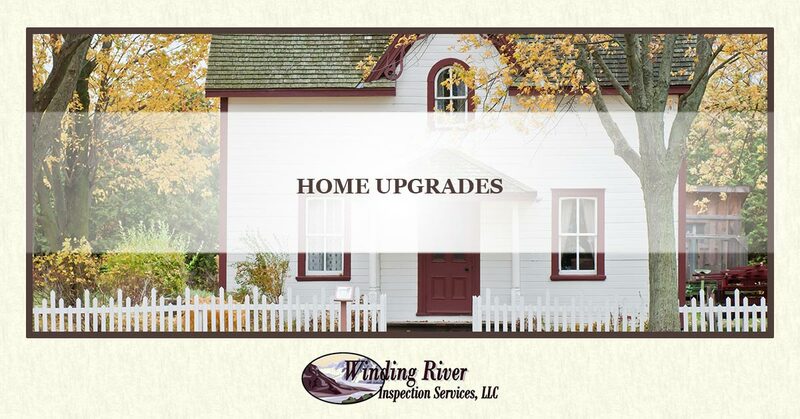 The most common upgrades include, flooring, windows, bathroom remodels, kitchen remodels and much more. Through this blog series we will look at just how much each of these upgrades will add to the equity in your home. When you install a home upgrade, the assumption is that one day it will pay for itself, but this is not always true. Check back next time as we discuss these upgrades and which are worth the time and money. In the meantime, if you are buying or selling a home contact the certified home inspection professionals at Winding River Inspection Services today and be informed about your sale or purchase.